Spend time cuddling and ‘rooming-in’ with your baby – have a babymoon and do as much skin to skin as you can. Babies often communicate through crying so don’t take it personally, they are trying to tell you they are hungry, tired, wet and dirty, need a cuddle, have wind or are sore. Try to tune into your baby and quickly you will be able to tell the cries apart. Babies also communicate through gestures and movements such as ‘rooting’ can mean they are hungry – see this visual guide which is very helpful – http://www.kemh.health.wa.gov.au/services/breastfeeding/images/baby-cues.jpg. When you’re pregnant, if you’re planning to breastfeed, make sure you can find your local breastfeeding café and clinic – it’s important that even if you’re not experiencing specific issues that you know where to go quickly in case anything does crop up. Find out if there’s any local peer support scheme in your area via your midwife and health visitor. Get any issues resolved quickly before they manifest into bigger problems. Get a sling – even if you are expecting more than one – learn to use it before the baby arrives by practising with a doll or teddy or even better, go and see a sling consultant. Slings are great for settling babies and giving you the opportunity to be hands free. Spend 10 minutes each day organising areas of your home that you use for changing and feeding so make sure there’s clean clothes and nappies laid out, and muslins, bottles of water and food (ie bananas, oatcakes etc) where you plan to feed. Also, invest in a good travel mug so you can drink your tea hot. In those first few weeks ignore issues around sleep and routines. People will ask you if your baby is ‘good’, are they ‘sleeping’ etc – the first six to twelve weeks babies have no ideas about routines and it’s a time for you to just enjoy them – go out for late walks, don’t worry about any of it. What’s much more important is that you try to get as much sleep as you can – see next tip. Organise help – this can be a rota of family, friends and neighbours or else hiring professional services such my Bump, Birth and Baby support. It’s vital to get help so you can get opportunities to look after your baby and forget about everything else AND sleep so someone can spend that time winding the baby, changing nappies, bathing them, making you food, taking the baby for a walk or anything just to give you a vital couple of hours of sleep during the day. If anyone asks if they can help – learn to say ‘Yes’. It can be sleep, but making meals, going to the shops, taking laundry, tidying your house or just making you tea whilst you’re trying to feed your baby is helpful in itself. Ensure each day you get some non-sleep time to yourself to wash, read a magazine or do something that you enjoy – it can just be 30 minutes listening to the radio on your own – but getting that down time is essential in addition to ensuring sleep – it’s like a conscious rest! Learn tips for calming and settling your baby – the BabyCalm book has lots of ideas and is well worth a read – but swaddling, movement, white noise, baby wearing, skin to skin all feature – see http://babycalmblog.com/2012/07/06/the-fourth-trimester-aka-why-your-newborn-is-only-happy-in-your-arms-30/. Finally, enjoy each of those precious newborn baby cuddles. Time goes fast and soon your baby will be toddling about – don’t wish away your time – try to see it for what it is – a new, very short, busy chapter in your life. I offer Bump, Birth and Baby support to help you get through this new chapter in your life and give you space to enjoy this time. 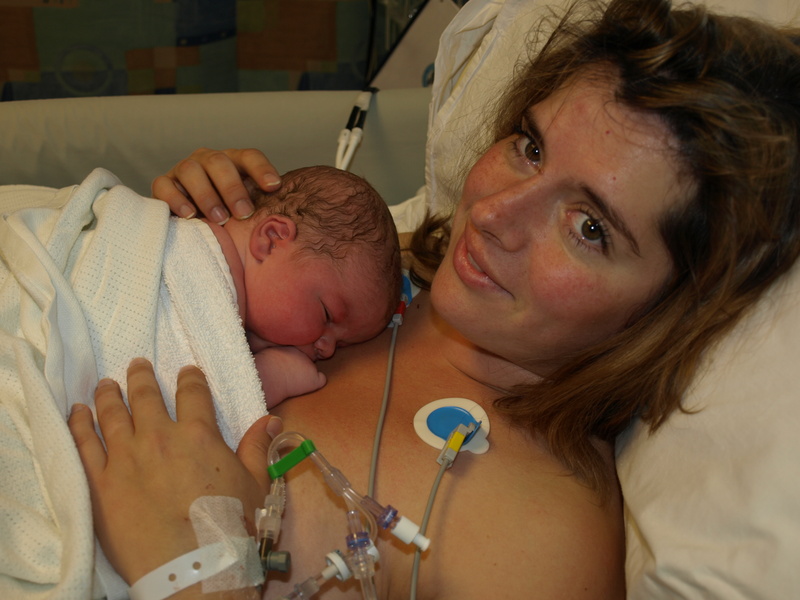 ⟵Postnatal care – what does it mean?